James was thorough and professional. I am a better diver for having him as my instructor. 100% committed to safety and genuinely wants you to have the best dive possible. I'd trust my life under your supervision any time! You've got your Advanced Open Water cert, maybe took a Rescue course, and you've been diving on those certs for a while. There's nothing wrong with that. But you also feel that maybe your skills are stagnating. You want to learn more and reach higher - or deeper - goals. Or maybe you're a DiveMaster or OWSI and you're looking for a new challenge. 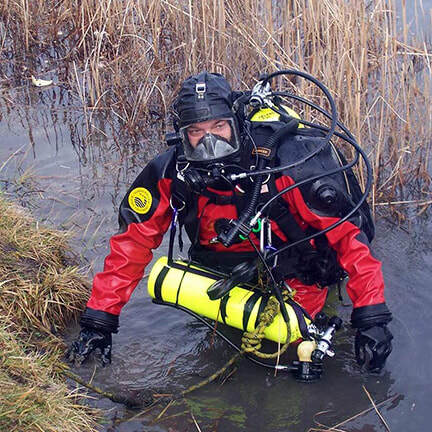 You've heard of Technical Diving. Maybe you've been on dive boats with Technical Divers. But maybe you've been told it's a) expensive, b) time consuming or c) you need to buy all new equipment. We offer packaged course and payment schedules that help you achieve your diving goals on your terms. We schedule your course around you. Because we teach 1:1, there's no group classes you're tied to. And we have all-Apeks Tec Rental gear that we can include in your package so you don't need to invest in a new equipment set up just to complete your training. You can try out our gear, before committing to buy your own. We specialize in taking good divers, divers who have a solid understanding of the fundamental skills and knowledge of diving, and making them better. We offer in-depth masterclasses on technical diving equipment. We work on skill development within the five pillars of technical diving; buoyancy; trim; breathing; propulsion and organization. The maths is simple. A big dive center will dictate your program and put you in a class with up to three other students. The best you can hope for is 25% of the Instructor's time and attention to be spent on you. We choose to take a much more personal, consultative approach. By choosing to teach 1:1, our Instructors are focused 100% on your development and don't have their attention divided between a group. We love questions! Contact us here to start your journey. Miami Technical Diving offers comprehensive diving solutions; from our Yacht Concierge Diver Services to our personalized Technical Diving Instruction, Media Safety Diver Services to Public Safety Diver Training for Emergency Response Divers. Clients have asked us to provide Search & Recovery services for objects ranging from an engagement ring to a sunken fishing boat. Our background in ultra-luxury yachting and expedition environments means we understand excellence in client service and the importance of flexibility. If you have a diving challenge, we'd love to hear about it. Every year during the summer, we run TecBnB, an immersive approach to Technical Diver training with packages including accommodation that help ease the costs of getting into technical diving in Miami, Florida. ​Check out our Summer 2018 program in the video below.